For your convenience, we provide complimentary transfers to and from Longreach Airport and Railway Station. Longreach is where Qantas began and is home to the award-winning Qantas Founders Museum. It’s just a 2 – 3 hour daily flight with QantasLink from Brisbane. 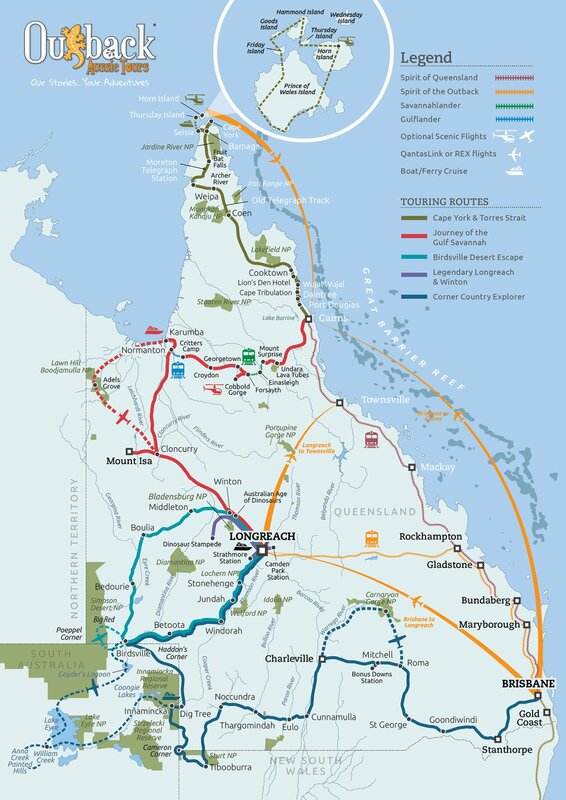 The route includes full onboard service and awesome aerial views of Outback Queensland. All Outback Aussie Tours commencing or ending in Longreach can be packaged with one way or return flights from Brisbane.